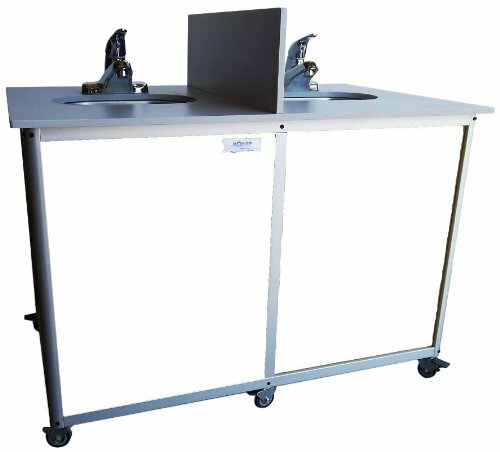 A perfect solution for busy daycare and community centers and preschools, the Toddler Double Basin Portable Sink allows two children at a time, access to hot and cold running water. More compact than the PSE 2006D model, it’s lightweight and easy to move. Store it out of sight when not needed, and roll it to a convenient spot at meal time or craft clean up. It comes in a variety of colors to meet your room’s decor. Comes with a One Year Manufacturer’s Limited Warranty. If you have any questions about this product by Monsam Enterprises, contact us by completing and submitting the form below. If you are looking for a specif part number, please include it with your message.